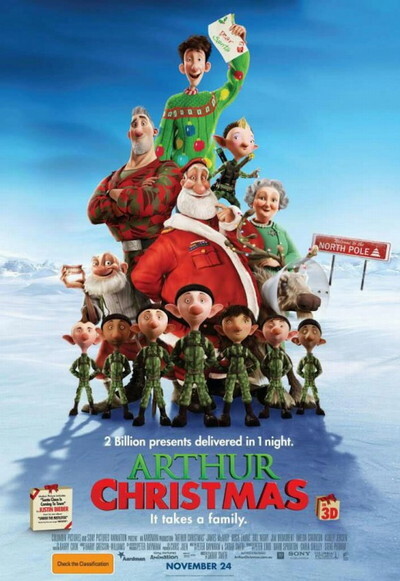 Story: Arthur Christmas at last reveals the incredible, never-before seen answer to every child's question: 'So how does Santa deliver all those presents in one night?' The answer: Santa's exhilarating, ultra-high-tech operation hidden beneath the North Pole. But at the heart of the film is a story with the ingredients of a Christmas classic - a family in a state of comic dysfunction and an unlikely hero, Arthur, with an urgent mission that must be completed before Christmas morning dawns.